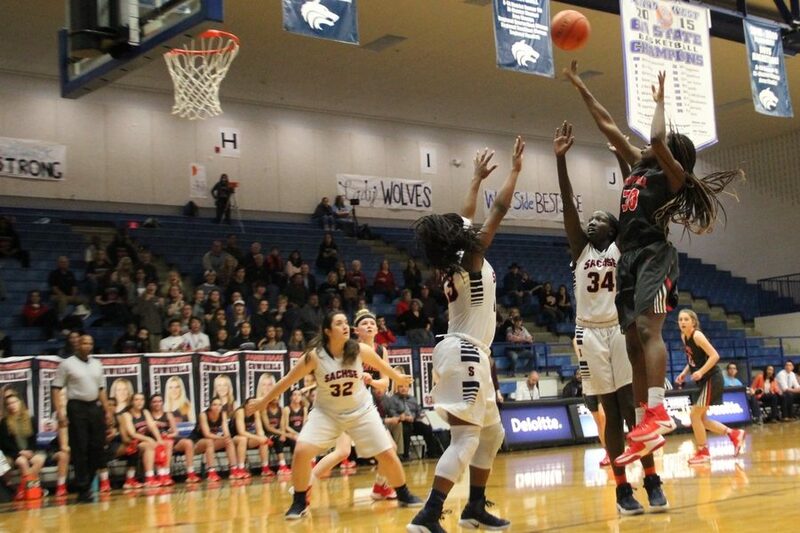 Coppell High School junior Rachel Okereke shoots the ball as the second quarter of Monday night’s Class 6A bi-district game comes to a close. The Coppell Cowgirls ended their season with a 47-31 loss to Sachse at Plano West High School. 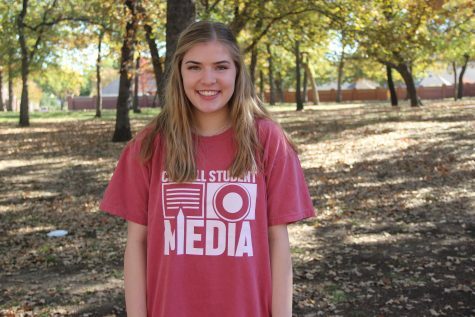 PLANO– In its first playoff appearance in 10 years, the Coppell girls basketball team stepped into a raucous Plano West gym on Tuesday night, the energy level higher than any game this season. And yet, it was not the atmosphere, the nerves of playing in a playoff game for the first time that got to the Cowgirls. It was the athleticism and offensive ability of Sachse, as the Mustangs overwhelmed Coppell in the Class 6A bi-district round of playoffs on Monday night, winning 47-31. With a little less than five minutes to play, the Cowgirls (19-13) trailed only 32-26, within reach of making a comeback. But the District 10-6A champion Lady Mustangs (27-6) flipped a switch, forcing turnovers and capitalizing by hitting nearly every shot. In the last five and a half minutes, Sachse outscored Coppell 15-3 to put the game away. That combination made it nearly impossible for the Cowgirls to get into a rhythm offensively. Throughout the game, they were often forced into bad shots or risky passes, where Sachse thrived on transition points with great ball movement. Coppell High School senior Emma Johnson looks to pass the ball during the third quarter of Monday night’s playoff game against Sachse at Plano West High School. 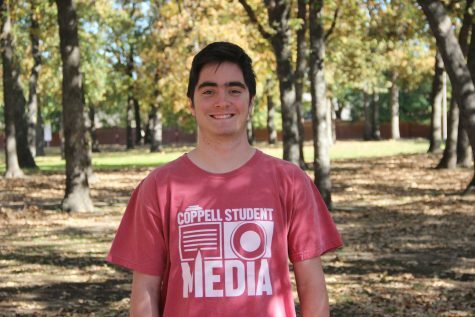 Coppell fell to Sachse, 47-31, in the Class 6A bi-district playoffs. For Johnson and this group of seniors, while the end result is not they way they would have liked, the ability to play in a game like this is something they have always longed for. “It was crazy,” said Johnson of the atmosphere. “We’ve never been in this situation before, so of course our energy level was very high. 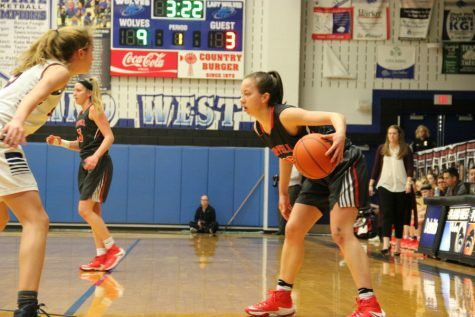 With all the work that has been put in over the last several years, the Coppell girls basketball team has finally reached the milestone of a playoff game. While Davis receives much of the credit for the turnaround the program has seen, she gives it to the team. “It’s a testament to the girls,” Davis said. “They want to do better, they want to be better, they want to win games. They’re incredible. They’ve done everything we’ve asked.